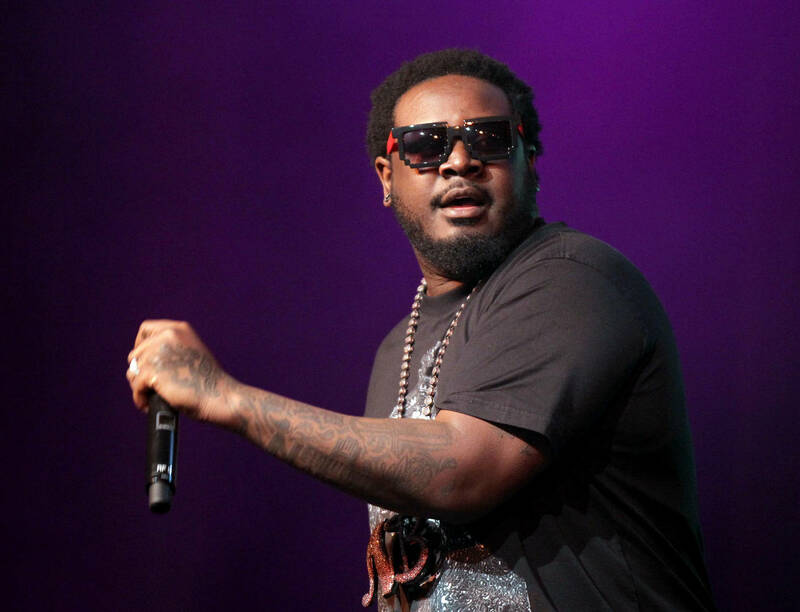 T-Pain warned the audience that he would leave if they threw something else at him. Artists often have to deal with rowdy fans getting out of control and throwing objects at them onstage. While many choose to continue performing, others like T-Pain, choose to cut things short. On Sunday, T-Pain was approximately 30 minutes into his set, performing at the B'Nai B'Rith Youth Organization (BBYO) Convention in Denver. During his performance of his smash hit "Bartender," someone tossed a beach ball at him onstage, hitting him on the head. TMZ released footage of the incident, and while it was fun and games for fans, T-Pain wasn't having it. He had reportedly made an announcement specifically asking the audience not to toss beach balls in his direction after they previously sent a few his way, warning them that he would leave if they continued. After the ball banked him on the head, the rapper made a quick exit without hesitation and didn't return. T-Pain's crew allegedly tried their best to get him to back to the stage to finish his set but he wouldn't budge. In a similar incident, back in March 2018, someone threw water at Lil Wayne as he performed at the Jumanji Festival in Sydney, Australia. Wayne, too, threatened to cancel the show if he was attacked again, but thankfully that crowd knew how to follow directions.